What an amazing week for Makeover Monday! The week started with a mere 500 of us together in a room in Vegas at TC17 vizzing about obesity in America. Last year in Austin we had 100 people attend and it was full about an hour before the start. 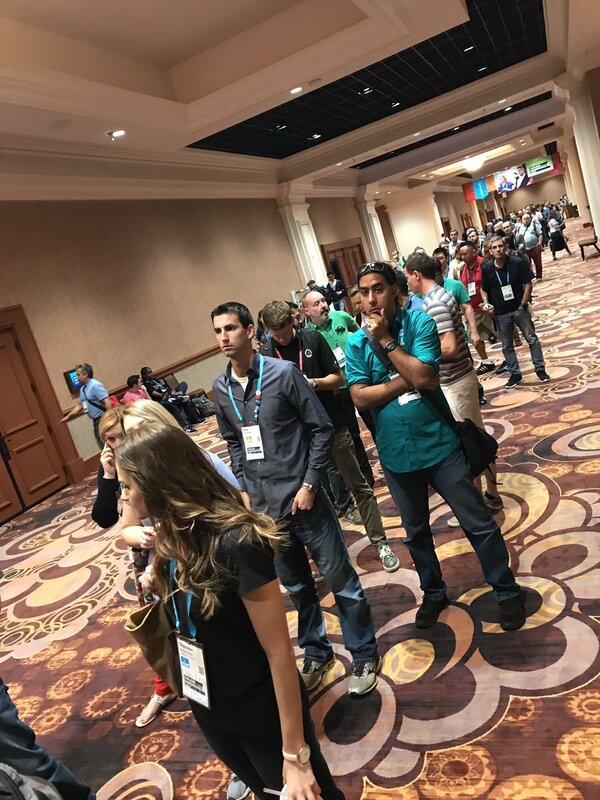 We never could have imagined filling up a room for 500, and what’s even crazier is there were another 200 in line that couldn’t get in. In the future, I think we need to find a way to only admit people that brought their laptops. This was the first time Eva and I got to meet so many of our virtual friends in person. We loved every second of it. I must say, adding Eva to the project this year is what has really kicked it up another notch. Thank you Eva for all you do! Plus, you know it’s a great event when you crash the Makeover Monday website! Thank you Ben Jones for getting the data up on Google Drive in a flash! 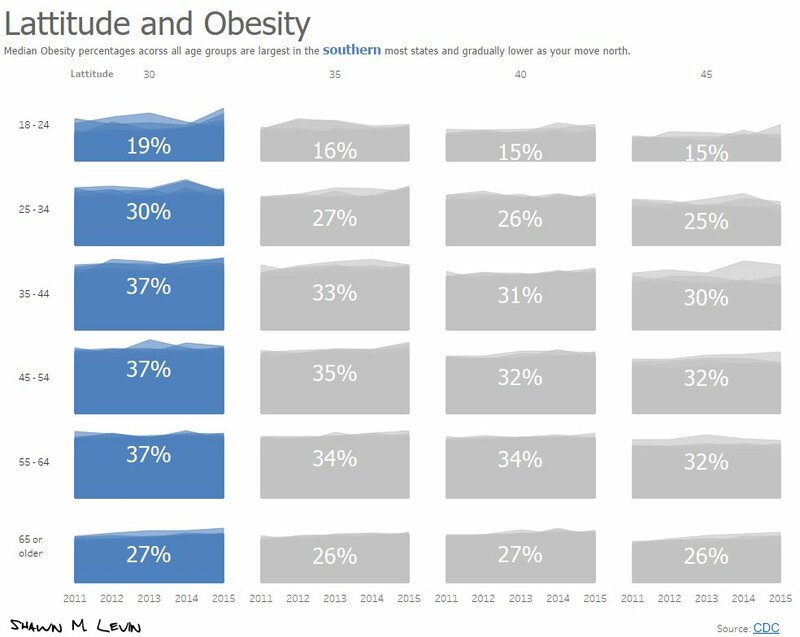 To top it all off, Ann Jackson‘s viz was selected as Viz of the Day by Tableau. Thank you to everyone that attended, those that presented and to everyone that came up to say hello during the conference. It really does mean a lot when people personally express appreciation. This is what keeps us going in those moments when we get down. 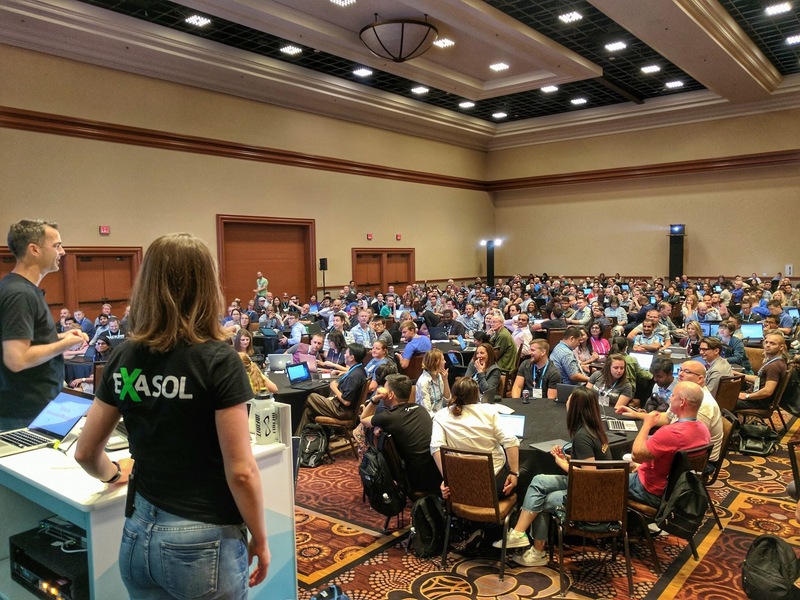 I heard from a lot of people this week that they participate in Makeover Monday, but they are intimidated to publish their work to Tableau Public and Twitter. To each and every one of them, I encouraged them to do just the opposite. Publish EVERYTHING you can. This is how you build your personal brand. This is how you show a progression. This is how you become part of the Community. This is how you improve. If you’re unsure, simply post your viz to Twitter, tag Eva and me, and use the hashtag #MMVizReview. We’ll give you honest feedback on your work. You can use this feedback to iterate and improve. Don’t be shy! We want to hear from you. I need to give a special shout out to Rodrigo Calloni for all of his help this week. He was very active giving feedback and he was happy to pick the favorites for me this week. I simply didn’t have time and he was more than happy to help. I appreciate your contributions Rodrigo! Good use of a question in Title. The viz does answer it on the description right below and complemented by the viz. Clean viz. The use of white space just makes chart pop. It is so clean that it is hard to believe it is not made in Tableau! Welcome back David! Another superb dotplot! Using color (red) on timeline to highlight selection. Your eye can see that even before you’ve noticed it. 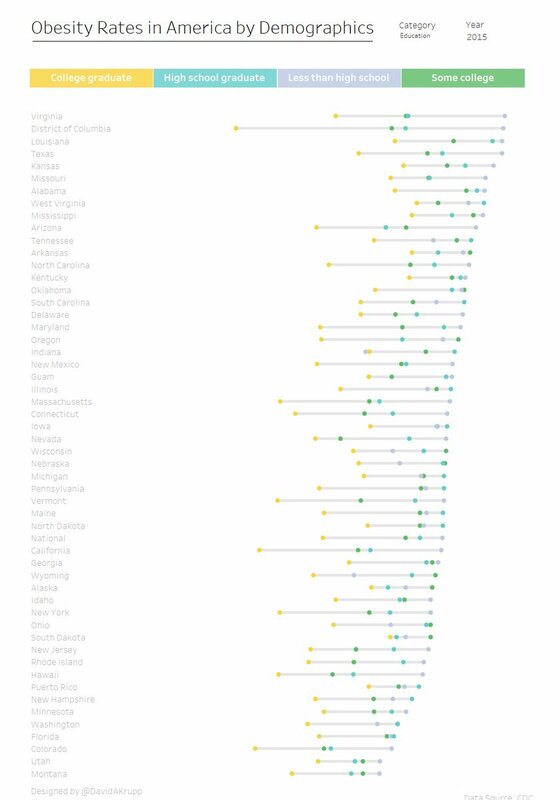 Simplifying the viz by focusing on one measure. We don’t need to viz all the available data to tell a story. Shawn always gives us some great insight on MM. 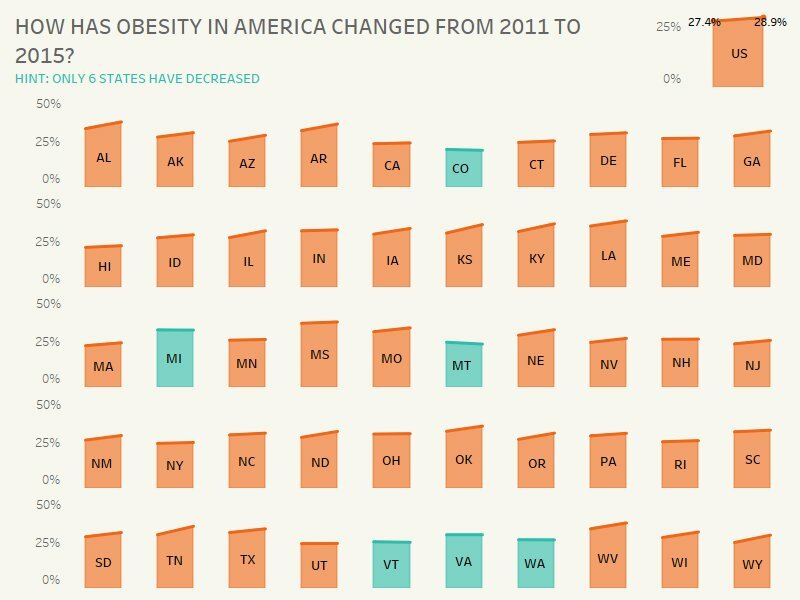 This is a great example of data analysis and context. 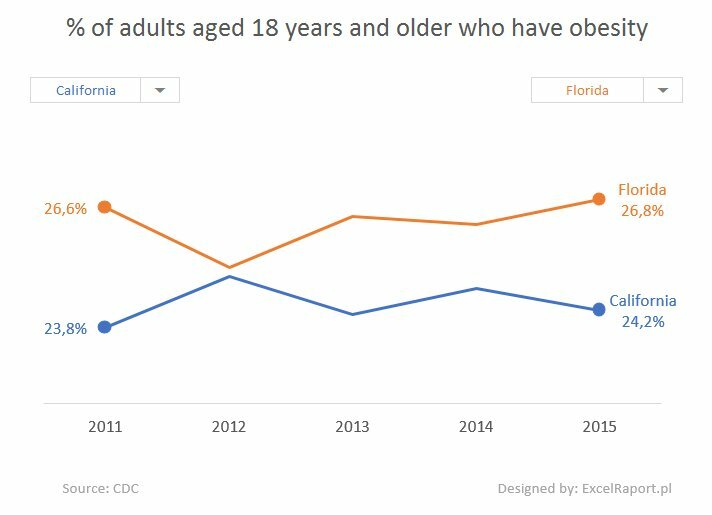 Nice use of non stacked area charts that allow the peaks on the data to display in a lighter color. Nice artistic touch there!